18+ MangaGamer Announces Critical Hit! TsukiWare’s debut title, Critical Hit, is a short and sweet adventure filled with laughs. The story follows a young boy (or girl?) named Akira, that lives in a fantasy world that has been tasked to enter the dungeon to reclaim his most prized possession. This will not be an easy task however, as the Game Master doesn’t really have Akira’s best interest at heart. The game will retail for $9.95 or $8.95 if you Pre-Order. You can check out the full press release below the break. August 12th, 2016–MangaGamer Announces Tsukiware’s Debut Title, Critical Hit! Looking for a fun, lighthearted tale of adventure? Join the androgynous Akira as he braves a perilous land full of hard monsters looking to skewer him as he quests for the return of his prized Princess Pony! TsukiWare’s debut title, Critical Hit, is short, sweet, and full of laughs, delivering a good bang for your buck! Pre-order your copy today and get an extra 10% off, too! Welcome to our fantasy world, where the Game Master has tasked Akira, a curious adventurer, with reclaiming his most prized possession. Akira’s journey isn’t without peril, however, as the Game Master doesn’t necessarily have Akira’s best interests in mind… Or does he? 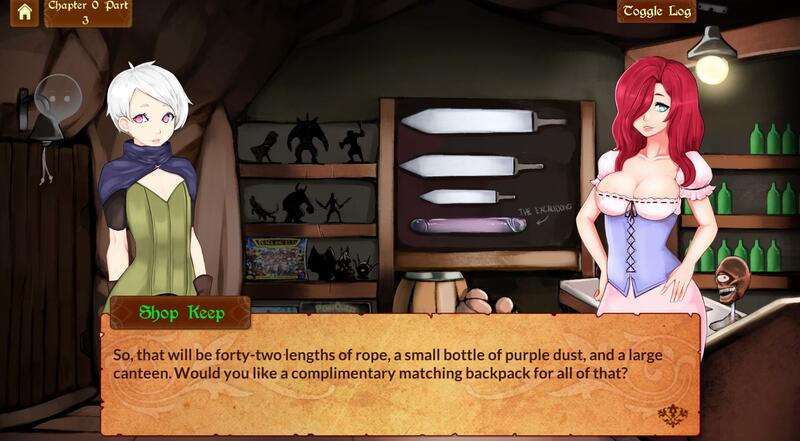 “Critical Hit!” is an 18+ Original English Language Visual Novel created by 月Ware. Come join Akira and his fun-filled(?) and lewd(!) adventure!